Trigard is excited to introduce our Total Pet System! Ideal for vault dealers, funeral homes and cemeteries, this turnkey system gives you everything you need: a full line of products, samples, selection room display (shown right), literature and a business partner dedicated to helping you. 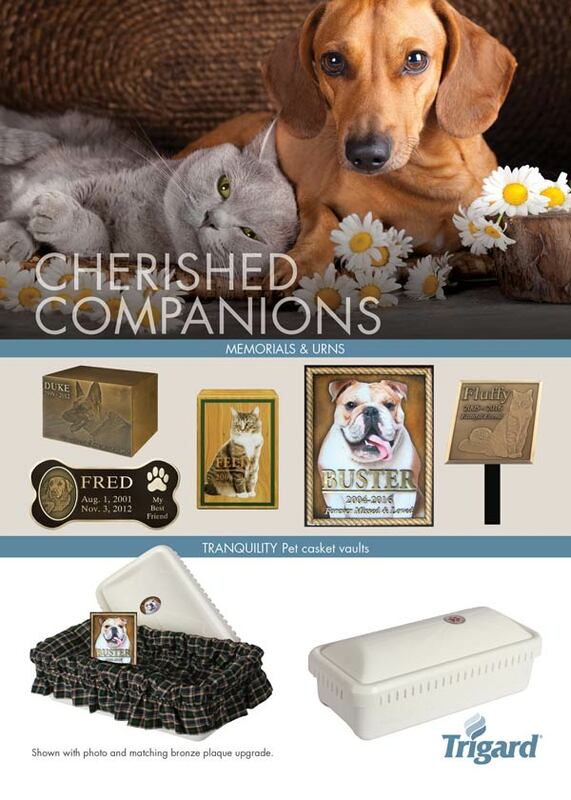 Visit our Cherished Companions page for more information. Visit our dealer resources page for free downloads and ordering.